This year marks the 25th anniversary of the Grand Cherokee. Jeep, for this special occasion, has not only added another trim level, but has also unveiled the Trackhawk, which features a 6.2-liter V8 engine, and produces 707 hp with 645 lb-ft of torque. Even more fitting for this celebration is the 25th Anniversary Sterling Edition Grand Cherokee. You can obtain this special edition by upgrading through the Limited trim option. What makes this special edition Grand Cherokee so special? The features include 20-inch Heritage wheels, Platinum Chrome badging, platinum tow hooks, a 25th Anniversary badge, and roof rails. Besides the special edition and new trim levels, every 2018 Grand Cherokee now includes a high-res 7-inch screen, which works with Apple CarPlay and Android Auto. The Uconnect radio system received an update as well. What are the available engines for the Grand Cherokee? The standard Pentastar 3.6-liter V6 engine produces up to 295 horsepower and 260 lb-ft of torque, and can tow up to 6,200 pounds. The fuel efficiency with this engine for 2WD is 19 mpg city and 26 mpg highway. For 4WD, it is 18 mpg city and 25 mpg highway. 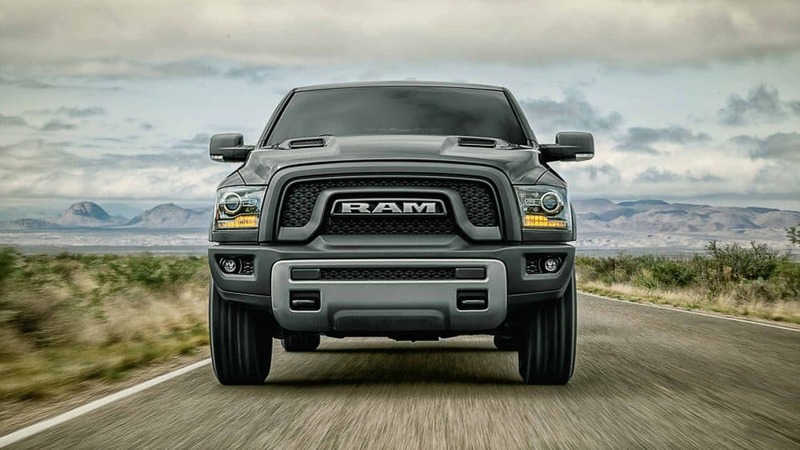 The bigger 5.7-liter V8 engine produces 360 horsepower and 390 pound-feet of torque and tows up to 7,400 pounds. This engine gets 14 mpg city and 22 mpg highway. Along with both of these engines are the diesel options. The SRT 6.4-liter V8 engine will give you 13 mpg city and 19 mpg highway. The Trackhawk's 6.2-liter V8 supercharged engine produces 707 hp and 645 lb-ft of torque. This engine can garner you 17 mpg highway and 11 mpg city. Both the SRT and Trackhawk give you the five driving modes: Auto, Track, Sport, Snow, and Tow. What design choices are offered with the 2018 Grand Cherokee? There are many different trim models for the 2018 Grand Cherokee, especially considering the extra trim added, the Trackhawk. The first is the Laredo, which offers rear parking sensors, a rearview camera, satellite radio with a sound system featuring six speakers, dual-zone automatic climate control, standard 7-inch touchscreen, heated mirrors, two USB ports, Bluetooth, and keyless for both the ignition and entry. The next trim is the Limited, which includes a 115-volt outlet, leather upholstery, heated seats, power liftgate, a heated steering wheel, remote start, auto-dimming on the driver-side mirror and the rearview mirror,memory settings for the driver's seat, and power front seats. The next trim is the Trailhawk, which is perfect for off-roading. Features for the Trailhawk are four-wheel drive, increased suspension, 18-inch wheels, a nine-speaker sound system, off-road instruments, the larger 8.4-inch touchscreen, a navigation system, and ventilated front seats. The Overland is next, featuring a dual-pane panoramic sunroof, and giving you auto high-beam control, xenon headlights, LED daytime running lights and fog lights, power-adjustable steering wheel, and leather upholstery. The Summit is the next trim, giving you many extra safety features, including forward collision mitigation, automatic emergency braking system, blind-spot monitoring with rear cross-traffic alert, and departure warnings when switching lanes. Other technologies and interior options for the Summit include a self-parking system, washers for the headlights, leather upholstery, adaptive cruise control, and a 19-speaker Harman Kardon audio system. The next trim is the SRT and it shares many similarities with the previous trim. SRT includes limited-slip rear differential, a sport body kit, and different performance modes. The SRT has sport-tuned suspension, steering, and brakes. The last trim is the Trackhawk. The Trackhawk has a more aggressive body line with 20-inch wheels and shares many of the special features that the SRT has as well. Extra interior upgrades are available with the Trackhawk, including trim and upholstery. Space is important in every vehicle, and the Grand Cherokee does not forget about it by giving you over 36.3 cubic ft of cargo room in the back of your Grand Cherokee. With seven trim levels, you already have plenty of options to choose from, but Jeep does not skimp on continually giving you the best thing of all: the power of choice. For your exterior color options, you can choose from Bright White, Diamond Black, Rhino, Velvet Red, True Blue, Walnut Brown, Billet Silver, Ivory Pearl Tri-Coat, and Granite Crystal. Trailhawk, Trackhawk, and SRT have Redline as a more exclusive trim color, with the Sterling Edition featuring Sangria. Interior color options are also vast, with Black/Light Frost Beige, Dark Sienna Brown/Black, Black, and Brown available on every trim. A few other interior colors are more trim specific, such as Indigo Blue/Brown and Brown/Light Gray, that can only be found with the Overland trim, Black/Ruby Red that only comes with Trailhawk and Trackhawk trims, and Indigo/Ski Gray that can only be found with Summit. What are the safety features in the 2018 Grand Cherokee? With over seventy security and safety features, the Grand Cherokee comes standard with both a backup camera and parking sensors. Other available features that you may add to your vehicle, either as stand-alone upgrades or trim packages, include lane-keeping assist, blind-spot monitoring, emergency braking system, and lane-departure warning. The 2018 Jeep Grand Cherokee continues its 25 years of excellence through this year's model. An added trim, a special Anniversary Edition add-on, and engines that give you more power--25 has never looked so good. Don't believe us? Come on down for a test drive and feel out this legendary vehicle for yourself. We would be thrilled to answer any of your questions and make sure you find the car that's right for you.